Nikki 24th May 2012 7th July 2015 1 Comment on Using your scraps. I quite often find, as I presume everyone else does as well, that when I’m working on a project I get left with lots of offcuts and scrap pieces of fabric. They’re sometimes large enough to use in another project which is good. But if they’re slightly more bizarre shapes, or too small then I don’t really want to waste them. So I try to use as much of them as I can. 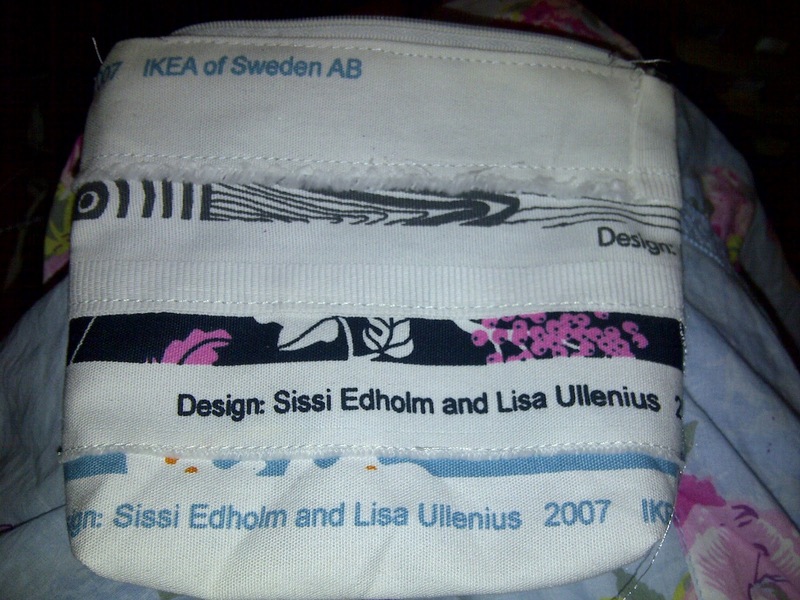 These are all selvedges from IKEA fabric (which I absolutely love!) and I just thought that putting them together would be really cute. I did see this on a blog before, but unfortunately I can’t remember where it was. It’s fairly easy to make though, you just sew the selvedges together to make a single piece of fabric, and then you can use it to make a little bag, or anything else you fancy, just like normal. I just had an idea for another project, which would be to use the selvedges fabric to make a card holder, like I made before in my tutorial. That would be really awesome! Think I might have to put that on my to do list. Another thing which I do normally is keep a bag beside my sewing machine in which I put all the small scraps and offcuts which are too small to re-use. These are really useful for using as stuffing! It’s also great for those single socks which you end up accumulating from washing, or fabric that’s past it’s prime and won’t be used. Any scraps really. It minimises the stuff you throw away. 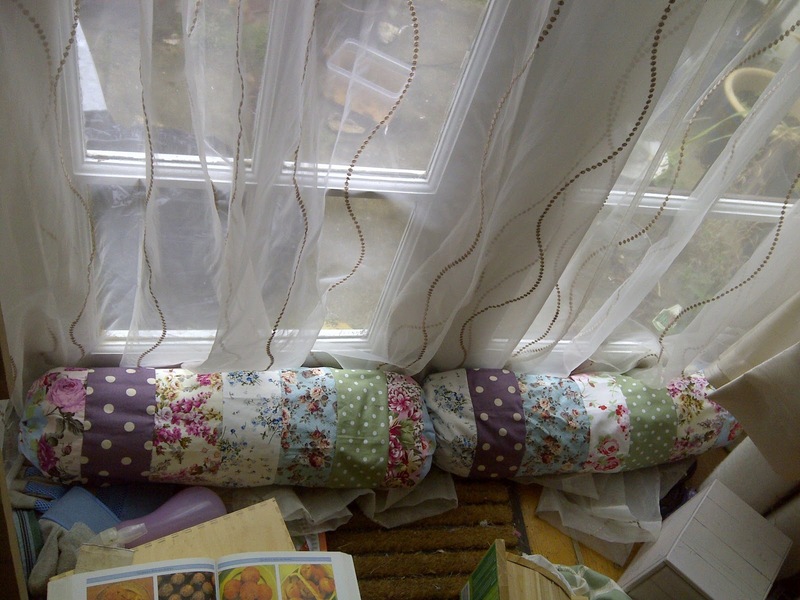 In winter we found that our kitchen gets pretty cold with it’s external patio doors, so I wanted to make some draught excluders. Perfect to use the stuffing in them. I even used scraps for the outside as well! Pippa was making her quilt she had quite a few narrow offcuts, which weren’t big enough by themselves to be used for a project. So I decided to use them together. Unfortunately I only had enough stuffing to make two of them, but I doors would need 4 to cover the entire opening. So I’ll have to make some more… what a shame. There are lots of things to make with scraps/offcuts! What do you do with yours?